At the present time, I only have two goats, both ADGA registered Nubians. I am hoping to buy a buck soon, and possibly another doe or two. This is Mabel, my first registered milker. She is an American Nubian, and gave about 3/4 of a gallon per day on her first freshening, and is producing between 1/2 gallon, and 3 quarts from one side this time (second freshening). She appears to have a very uneven udder, but this is because only one side is producing milk at the present time (this is not a genetic problem, there was a blockage in that teat when she first freshened and that half got so full and uncomfortable that it stopped producing). She thinks she's a person or dog, following us around, constantly wanting to be petted or fed. She jealously defends her place as top goat, and knows that she's the favorite. When a new goat comes she always headbutts her for a while, and sticks to us like glue. She'll rub against our legs, then look back at the other goat with a very significant expression which clearly says "Hey, look here- my people love me, and I love my people. We're real close, so don't interfere!" She keeps us laughing, and life wouldn't be quite the same without her. As of December 18th, 2012, she tested CAE-free. Her udder looks terribly uneven here... Sadly, due to staph mastitis, the small side of her udder is no longer functional; so it is dry, and consequently looks much smaller. When it was full though, before she had mastitis, both sides were perfectly even, and this is not a genetic problem. I could be wrong about this, but I believe part of the reason she got the mastitis was because of a fat or scar tissue knot in that teat, probably from being fed an extremely high protein show ration at her previous home. This made her prone to mastitis in that side, and she ended up getting staph. I recently was blessed to purchase Frieda, an 18 m/o Saanen doe. I am exploring options for breeding her, and looking forward to milking her! She is very well built, and comes from good show and milking lines, with many star bucks and does in her pedigree. Hi there, I noticed you give just straight oats as a grain ration for your goats. I am about to switch over to that as well for my goats. Are there any additional supplements/vitamins I will need to give them in addition? What herbal dewormed do you use? How often? Thanks. I'm so sorry I didn't respond to your comment sooner. I have changed my feeding plan somewhat since writing that. 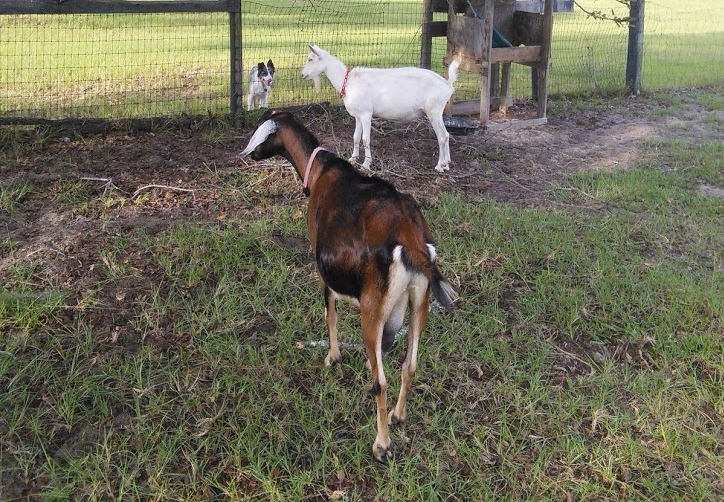 I currently am feeding sprouted oats and sunflower seeds, and Chaffhaye (http://www.chaffhaye.com/), with the mineral mix described by Pat Coleby in her book, Natural Goat Care (http://www.acresusa.com/natural-goat-care). I have used the Hoegger goat dewormer (http://hoeggerfarmyard.com/xcart/Herbal-Wormer.html) in the past, and was very pleased with it. It is a weekly dose, but I did not always feed it weekly. My goats did best when I stayed on the program though. Some friends of ours are feeding VitaHerbs, and their goats are very healthy. 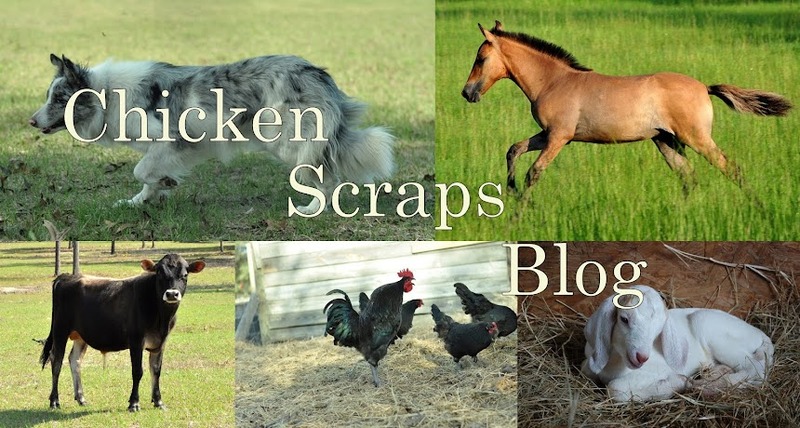 They also do the sprouted grains, and add ground carrots and garlic to it before feeding.